Vitamin D and cancer - Are you getting enough? Good vitamin D plasma levels are ESSENTIAL, not least because vitamin D 'arms' the immune system, reduces inflammation and can even correct cancer cell structure. Research shows consistently that people with good levels develop less cancer, and those with good levels after a cancer diagnosis increase their odds of survival. Supplemention has been proven successful and, if you cannot go in the sun, you should use 2,500 IUs a day, 5,000 IUs per day if you have cancer, and double if you are taking drugs. Vitamin D can also prevent type-2 diabetes, osteoporosis, dementia, strokes, heart attacks and more. It will help you live longer too. Unfortunately, approximately 80% of adults are walking around in Britain oblivious to the fact they have DANGEROUSLY low blood levels of vitamin D.
Vitamin D is often called ’The Sunshine Vitamin’ because it is made by the action of UVB in sunshine on the cholesterol layers below the skin. Its presence is very limited in foods. 5,000 IUs is the equivalent of 4 hours in the sun. If you cannot get adequate sunshine to your body, you MUST supplement. Vitamin D is very powerful and acts as a hormone in the human body. In 2016, Public Health, England told the British public to go in the sun. If they could not, they were told to supplement. But people are not taking or making enough vitamin D. In one study 82% of women who developed breast cancer had low vitamin D - around 15-20 ng/ml. And it appears this 4 out of 5 figure is true for almost all people diagnosed with cancer. Vitamin D reduces cancer risk by about 33 per cent. So says a 2017 study from Creighton University and the University of California, San Diego. In a 4-year study on older women, even though researchers gave them about three times the American Government’s standard dose, they failed to reach good levels of plasma vitamin D. Where they did, cancer risk fell by a third. St George’s Hospital in London calculated from their studies that women with low levels of vitamin D in their breast tissue have a 354 per cent greater risk of breast cancer. Translated into English this means they have 4 and a half times the breast cancer risk. Boston Medical School has been conducting research on vitamin D for over 25 years. Professor Michael Holick is an endocrinologist specialising in vitamin D and he has said that "25% less women would die from breast cancer if they had sufficient vitamin D in their blood". 1. Adequate blood levels of vitamin D can prevent bladder cancer. And, Vitamin D cuts pancreatic cancer risk. So how much vitamin D is enough? This article will explain. 2. Plasma vitamin D levels can predict survival times in breast cancer. People with low vitamin D levels survive least. 3. Vitamin D supplementation increases breast cancer and colorectal cancer survival. 5. Vitamin D has Epigenetic benefits - Vitamin D plays a key role in metabolism and nuclear regulation in ageing and cancer. You are not doomed. Epigenetics holds that cancer is reversible. * Researchers from Roswell Park Cancer Center studying patients with colorectal cancer showed that each of three different chemotherapy regimens, reduced plasma vitamin D levels down to 21.3 ng/ml, where 30-50 is an optimal range. * Two studies from Dr. William Jacot and colleagues from Montpelier, France with breast cancer showed the same damaging effect. Even though the 18 months of chemo involved two summers, a deficiency in 80 per cent of patients before chemotherapy rose to 97 per cent after. And the average vitamin D level fell from a low 21.3 anyway, to a damaging 14.7 ng/ml. A quarter of the women treated fell below 10 ng/ml. The researchers said vitamin D supplementation should be tailored to the patient. 9. Vitamin D can reduce gut inflammation, IBS and colitis. 10 . 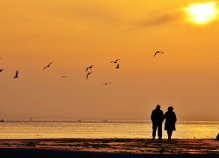 Vitamin D has been repeatedly linked to bone health, both in the elderly and the young. 11. Vitamin D appears to reduce type-2 diabetes risk, clinical trials are underway. 12. Low levels of Vitamin D are linked to increased risk of Alzheimer’s. 13. Vitamin D reduces the risk of severe Asthma attacks. Indeed, low blood levels of vitamin D have been linked to higher risk of almost any and all chronic illnesses - strokes, heart attacks, type-2 diabetes, Alzheimer's, dementia and multiple sclerosis. As we age we need more of it. There is even a meta-analysis of 18 research studies (Annals of Internal Medicine) that vitamin D supplementation can increase longevity. So, vitamin D - are you getting enough? As you can see from the above, levels of 20 ng/ml and below have been linked to more cancer risk, and levels below 30 ng/ml are seen as a deficiency. A study in 2016 amongst Dutch athletes showed two thirds of them below the danger level of 30 ng/ml. In CANCERactive patients, we encourage the base of 60 ng/ml with, ideally, levels over 75 ng/ml and up to 150 ng/ml. Having a blood test is the only accurate way of knowing your blood vitamin D levels. So how much should you take? A week in the sun lying on a beach will give you about 70,000 IUs of vitamin D.
The Vitamin D council recommend a healthy person has an intake of 2,200 IUs a day. Professor Michael Holick of Boston Medical School believes that people with cancer should take at least 5,000 IUs a day. From the research above showing the damage caused by chemotherapy to vitamin D levels, we suggest that if you cannot have your vitamin D correctly monitored, you should simply take a double dose if having chemo. While low levels are predictive of a shorter survival and are unsafe, there seems to be no upper limit. You can’t really get too much! If you do supplement, and you have no blood clotting issues, blood pressure, cardiovascular or stroke issues and are not on warfarin, you should think about using vitamin D3/K2. Your immune system makes T-Cells to attack rogue invaders. They cannot attack until they are ’primed’. This is done by taking on a vitamin D molecule and vitamin K helps that process. You can ask your Doctor for a blood test for vitamin D levels. ’If you are already thinking of supplementing with vitamin D, why not take a look at the natural supplements selected for you in 'Our Natural Selection’? From my observations at CANCERactive, it is better to go in the sun than supplement. Of course, people with dark skins, or those that use high factor sunscreens get less benefit. And black people living in Western cities are most at risk of low vitamin D levels and a greater risk of illness. UVB also declines the further north from the Equator you go. The sun provides more than just vitamin D. It increases levels of nitric oxide (NO) in our bodies - linked to a dilation of blood vessels, less strokes and heart attacks - and it increases serotonin levels. Serotonin is the ’feel good’ hormone. It cuts depression, encourages melatonin production, and is linked to a lower risk of suicide. Melatonin helps us sleep more deeply, it is the biggest antioxidant we make as animals and it is anti-inflammatory. This is why sleep is so healing. But melatonin also lowers levels of dangerous ’growth hormone’ and ’estrogen’ in the body. Both women and men who have disturbed sleep patterns develop more cancers (breast and prostate being those primarily recorded in research). In June 2016 Washington Medical School research showed that sunshine could reduce gut inflammation, reducing colitis and IBS symptoms and colorectal cancer risk. 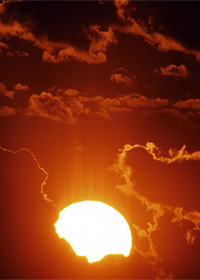 There is clear evidence from a number of studies that people who have a regular presence in the sun get LESS cancers. For example, The University of New Mexico (Journal of Nat Cancer Institute 2005, 97) has shown people with high exposure to the sun are less likely to die from melanoma. Yet, major voices like Cancer Research UK tell us all to avoid the sun for fear of burning and becoming one of the 3,800 people a year in the UK dying from melanoma. Meanwhile hundreds of thousands of people are needlessly developing chronic illnesses and shortening their lives, when they could well have prevented them by going in the sun more! It’s the tail wagging the dog. Virtually everyone with cancer (yes, even those with melanoma) seem to be deficient in vitamin D on diagnosis. Three research studies covered in Cancer Watch (one for each of breast cancer, melanoma and colorectal cancer) conclude just over 90 per cent of newly diagnosed patients were severely short of this vitamin. Worse, research from University of California, San Diego shows ongoing levels of vitamin D in the blood can predict survival. Several other studies have shown similar results for other cancers. In other words, if you have cancer it is imperative to correct your low vitamin D levels. * Research in 2012 in Cancer Causes and Control presented findings that former/never smokers were 44 per cent less likely to die from lung cancer if they had blood levels of vitamin D above 44 nmo/litre. That applied to whether or not they had the cancer - it seems to prevent, and reduce deaths. * In 2013, researchers from St Louis University showed that women with a BRCA1 mutation are more likely to develop an aggressive breast cancer but vitamin D can block this pathway. BRCA1 is not just behind breast cancer but other cancers too like some prostate cancer. Clinical trials are now planned. * Research shows that low vitamin D levels double the risk of bladder cancer, another study shows the same for pancreatic cancer and a third study for lymphoma. * One study found Vitamin D crucial in preventing Alzheimer’s, another study showed the importance of sunshine in preventing dementia. * Professor Philip Raskin in Texas believes adequate levels of vitamin D could prevent 25% of cases of type-2 diabetes and research has indicated this. * While one study said low vitamin D doubled MS risk, another study said it could be corrective in early stages of the disease. * 2012 research from the University of Carolina showed that children with low blood levels of vitamin D were more likely to become critically ill. Indeed, in the UK Rickett’s is making a come-back. Dr. Richard Weller, a dermatologist at Edinburgh University, has stated that 80 cases of heart attack deaths could be prevented for every one from skin cancer if people spent adequate time in the sun. By now, readers of this article should be clear that dreadfully myopic advice from charities such as Cancer Research UK has contributed to poor health in our Nation. The science of epigenetics holds that the majority of chronic illness occurs because blockages occur around the DNA double helix, rather than breakages inside it. These blockages occur through the build up of histones. The methyl and acetyl bond holding the DNA and histones can be broken via attack on the relevant enzymes. It is known that most breast cancer is formed this way. There are about 65 natural compounds that have bioactive properties including the correction of stone build up. Vitamin D is one of the leaders. Click Here for more on Epigenetics. "Vitamin D can adjust almost everything in the cancer cell, from its genetic messaging to its cytoskeleton. It can switch genes on and off, and it can reduce cell division, and it can calm cancer cells so that they settle rather than spread. It seems vitamin D can actually return a cancer cell to a normal and healthy state". In a 2013 study, this time in the Journal of Cellular Biology, a third way of operating was found - research showed that vitamin D blocks cathapsin L which makes cells grow uncontrollably in cancers. Researchers at the Salk Institute have shown that the pancreatic cancer drug gemcitabine works 57 per cent better if combined with vitamin D.
If you are in any doubt about its potential, then the pharmaceutical companies are certainly not. For example, Memorial Sloan-Kettering were involved in a Phase III clinical trial where a synthetically made, concentrated form of vitamin D, called Asentar, significantly improved patient survival times. "It has enormous potential", said Dr Howard Scher, team leader. Unfortunately, politics took their toll on the trial - but that’s another story. At CANCERactive we are very clear about vitamin D. There is more than enough research to conclude that vitamin D can help prevent cancer. And, from the latest studies, it is increasingly clear that every cancer patient should be spending time in the sunshine, or supplementing, because raising vitamin D levels can increase your odds of survival if you already have cancer. Believe it or not, the current RDA stems from the work of an eccentric Scottish Lord some 80 years ago with his dogs and horses (see later), and the RDA was set at 5 to 10 micrograms (about 200 IUs) per day over 50 years ago, for bone health. However, Dawson-Hughes (Am J Clin Nut 1995; 61) has shown that at that level it has no effect on bone status at all. Reinhold Veith PhD, University of Toronto, has concluded adults need 5 times this level (Am J Clin Nut May 1999), if they are to maintain healthy bones (Over 1000 IUs) and, when it comes to cancer, various research studies use at least 400 IUs daily as a preventative agent, but for those already with cancer the recommended daily supplementation is a minimum of 5,000 IUs. On a sunny summer day, a young adult exposing a fair amount of skin for 15-30 minutes will manufacture about 20,000 IUs of vitamin D; this goes down with age to 10,000 IUs or less. This makes a bit of a mockery of the official toxicity safety limit for supplementation of 2,000 IUs. Veith proposed a level of 4,000 - 10,000 IUs per day for people with cancer and argued that toxicity doesn’t start until about 40,000 IUs (Am J Clin Nut 1999; 69). And Harvard Medical researchers totally agree with him. Harvard Medical School researchers have recommended everyone with cancer should take 5,000 IUs a day - that’s 4 hours in good sunshine - a week on the beach will give you 70,000 IUs. Or you can supplement - it is only in very low levels in food. William B Grant PhD, a vitamin D expert in the USA, believes that 80-90% of Americans are actually deficient in vitamin D. Vitamin D is commercially available as vitamin D2, (ergocalciferol - from plant products, although plants contain very low levels of the vitamin), and vitamin D3, (cholecalciferol - from animal products). The best supplementation to take is vitamin D3. D3 provides vitamin D in its most usable form. A vitamin D level of below 32 ng/ml is regarded as deficiency. 2007 research by Lappe et al showed that where deficient people increased their levels to 40ng/ml, they reduced their risk of cancer by a staggering 77 per cent. So how much is enough? The people in the research were either receiving a placebo, or a supplement of just 1000 IUs. The vitamin D Council believe that people should try to get to over 50ng/ml; and 4000 to 8000 IUs a day is the better level for supplementation. Can you overdo it? No. If a fortnight’s holiday on the beach gives you 140,000 IUs, it is highly unlikely that you can get too much; rather vitamin D seems to be stored and will leave you in good health for a considerable time. "If you are already thinking of supplementing why not Click Here to see what Our Natural Selection has to offer"
But doesn’t sunshine cause skin cancer, and even melanoma? It is just not that simple. Up front we would point out that there are several studies which show over 90 per cent of people who develop melanoma are actually deficient in vitamin D; and 2011 research showed half of melanoma is found in locations not exposed to the sun. Indeed, one study showed that, rather than sunshine, oestrogen was definitely implicated. Two identical twins lying in the sun on the beach. The one on the oestrogen contraceptive pill has twice the risk of melanoma over her sister who is not on the pill. ’If you are thinking about supplementing with vitamin D you might like to look at Natural Selection’s Products of Choice’. So, what is the burning issue? The issue is simple - Sunshine is sensational - it’s burning that’s bad. All to often, people take their white skins off for a quick week in the sun somewhere exotic. The truth is that it takes 4 days to fully get your protective pigments working. And so, during the first 4 of their seven day holiday, they overdo the sunshine and burn. This damages the skin. Worse, some sunscreens contain chemicals which are xenoestrogens - they can mimic the action of oestrogen and/or they are photo carcinogenic. Yes, there really is research showing some some screens are dangerous. The Environmental Working Group believes only one in five sunscreens is safe. If you want to find a truly safe sunscreen CLICK HERE. For example nearly a decade ago came two studies and both showed that women with the highest levels of vitamin D were up to 50 per cent less likely to develop breast cancer. One study involved St. Georges Hospital Medical School in London and US researchers at Harvard and University of California; the other was carried out by Canadian researchers at Mount Sinai Hospital in Toronto. Both were presented at a meeting of the American Association for Cancer Research in Washington. 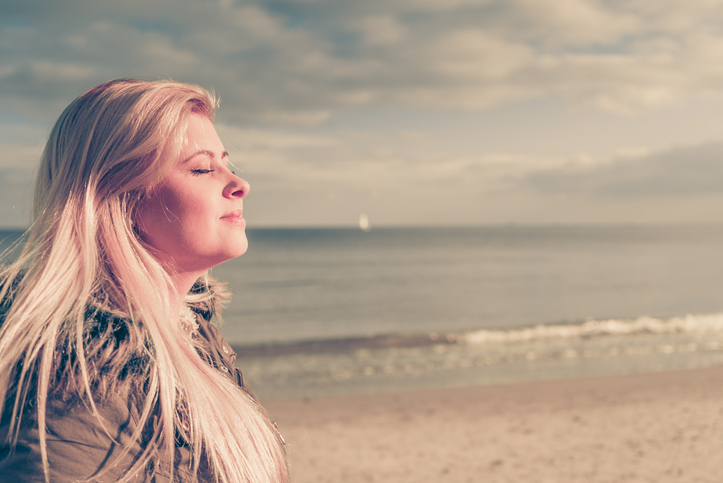 The doctors in the research concluded, Women with high exposure to the sun as teenagers may be protected against breast cancer in later life, and that boosting levels of vitamin D could be beneficial at a time when breast cells are developing. Moores Cancer Centre at UC, San Diego concluded from a mega study of previous research that up to half the cases of breast cancer, and two thirds of the cases of colorectal cancer in the USA could have been prevented if people had had adequate blood levels of vitamin D.
The Journal of Steroid Biochemistry and Molecular Biology reviewed two studies concluding that women with the highest blood levels had the lowest risk of breast cancer 15 to 30 minutes in the sun every day, or 2000 IUs of supplement were recommended. One study showed that the lower blood levels of vitamin D, the more dense (and dangerous) the breast tissue. The American Journal of Preventative medicine cross-related 5 studies over a 25 year period to conclude that taking a 2000 IU supplement of vitamin D3 daily would cut colorectal cancer by two thirds. Science Daily (Sept 12, 2006) covered two large scale research projects of 125,000 men and women, concluding that just 400IUs could reduce pancreatic cancer risk by 86 per cent. A UK study covering 1.1 million men and women concluded that higher levels of blood vitamin D meant fewer deaths from cancer. In the Journal of Clinical Oncology (Jan 20, 2005) men with the highest levels of vitamin D in their blood were half as likely to develop prostate cancer, as those with poor amounts. Research has shown that vitamin D inhibits prostate cancer cell growth. The provider of the vitamin in the research? Sunshine! St Georges Hospital showed that the provision of 400IUs of vitamin D reduced pancreatic cancer by 34 per cent. Sunshine reduces risk of Hodgkins by 40 per cent (Karolinska Institute). Vitamin D if you already have cancer? As we reported in the introduction research published in the Journal of Cell Biology November 17, 2008; 183(4):697-710 has shown that vitamin D can adjust almost everything in the cancer cell and return it to the normal, healthy state. Another study has shown that vitamin D can bind to mutated cancer cell receptor sites and cause cell death. Researchers at the Harvard Medical School and Harvard School of Public Health have concluded that good levels of vitamin D in the body may help people with early stage lung cancer survive longer after surgery. Patients who had surgery in the sunny summer months where vitamin D levels are higher were more than twice as likely to be alive 5 years after surgery compared with those with low vitamin D levels having winter time surgery. Dr David Christiani said the survival differences were dramatic; the highest levels of vitamin D saw 72 per cent 5- year survivals compared with just 29 per cent for people with the lowest levels. It looks like vitamin D is antiproliferative, as it inhibits proliferation of abnormal cells, added Christiani, and there was also evidence to suggest vitamin D inhibits the spread of tumours. A study reported in September Cancer Watch 2008, led by Pamela Goodwin, MD, Professor of Medicine at the University of Toronto, research concluded that women with vitamin D deficiency at the time of breast cancer diagnosis were 94 per cent more likely to experience cancer spread and 73 per cent more likely to die over the next 10 years compared to women with adequate vitamin D levels. Breast cancer cells have been shown to have vitamin D receptor sites on their surface. Since women who have had breast cancer in one breast are clearly interested in preventing breast cancer in the other, supplementation of vitamin D seems an essential part of their anti-cancer programme. And vitamin D supplementation is already being used as part of breast cancer treatment programmes in some US hospitals; it is being used in conjunction with radiotherapy in others, and it is also being used in a concentrated form in combination with Taxotere, for patients with prostate cancer at Memorial Sloan-Kettering New York. "If you can’t get in the sun every day and you want to obtain vitamin D supplements, Natural Selection has an all natural, product of choice vitamin D3 which you can access by clicking this link." Most people in our modern Western world are deficient. This is hardly surprising as they may live in colder, rainer climates with little winter sun; they may live out of the sun - watching TV indoors and working in offices; they may even refrain from enjoying sunshine because several major charities have ridiculously warned them against sunshine! Lets go back to the beginning. In 1919 Sir Edward Mellanby was working indoors with dogs and horses during the winter and concluded that if they didnt get sunlight they developed bone disorders. He further concluded that the essential action of fats preventing these problems was due to a vitamin; and that cod liver oil was a strong preventative agent (see also icon articles on fish oils: click here). The chemical structure of this vitamin, which he named factor X, was identified in the 1930s by Professor A Windaus. And thus vitamin D came about. Bone disorders had also been noted in humans - typically rickets in children. As we shall see, it is now known that this substance is not technically a vitamin at all, but acts as a classic steroid hormone! The definition of a hormone is that it has DNA receptor sites on the nucleus inside cells, so able to control the "expression" of DNA to build molecules. Vitamin D is an essential part of the endocrine system as it controls the growth and differentiation of cells, the synthesis of key enzymes, several of the adrenal hormones and appears to have other direct DNA functions and even be involved in DNA repair. Recent research has shown completely new and crucial functions: Vitamin D is now known to also have a significant effect on nuclear receptor sites, as well as having receptor sites on cell membranes, and increased numbers on cancer cell membranes. Vitamin D is an umbrella term for a number of fat-soluble chemicals called calciferols. Vitamin D2, ergocalciferol, is produced when ergosterol in a yeast extract is converted by the ultraviolet component of sunlight. It is never naturally present in human blood, whereas vitamin D3, cholecalciferol, is produced by the same action of UV light on 7-dehydro-cholesterol, a precursor molecule of cholesterol present in our skin. If this does not happen, 7-DHC is converted into cholesterol instead, and then into the other steroid hormones. Vitamin D3, once manufactured or ingested, is converted first into the 25-hydroxy-cholecalciferol - or 25(OH)D3 - form in the liver, then into 1,25-dihydroxy form - 1,25(OH)2 D3 - in the kidney. It was thought that only the final, 1,25(OH)2D3 form had any activity, but its now clear, firstly, that the 25(OH)D3 form does have effects on cell metabolism, and secondly that several other forms are produced in the skin in lesser quantities that may also have their uses. 70 years after it was first described, our knowledge of vitamin D is developing with increasing speed. Only recently, tissues other than the kidney have also been found to turn calcidiol into calcitriol and now this is known to help regulate localised, cellular gene expression. This may be autocrine (inside the cell) and/or paracrine (surrounding the cell). These autocrine and paracrine functions are significantly diminished in vitamin D deficient people. Several studies show many Americans - up to 90 per cent and especially black Americans - are vitamin D deficient, and this is being linked to, for example, a threefold higher level of prostate cancer in black US city dwellers, over their white counterparts. All this is a long way beyond those first views of vitamin D, where deficiencies were only associated with rickets in the young and osteomalacia in adults. Vitamin D is essential for maintaining bone density and preventing osteoporosis as it helps the absorption of the bone-building materials calcium and phosphorus. In this action it is helped by magnesium. Vitamin D and cortisol (the stress hormone) have recently been shown in the USA to be the crucial determinants in osteoporosis. Not oestrogen. Cortisol can bind with receptor sites on bone cells normally used for natural progesterone (not natural oestrogen) and this weakens bone structure. Apart from taking HRT many doctors will advice more dairy. Dairy foods provide high levels of blood calcium (and a tiny amount of vitamin D). However this calcium surge actually depresses vitamin D levels and the bodys ability to absorb magnesium. Catch 22. Dairy gives you high blood calcium, but low bone calcium. Much work has been done on the effect of vitamin D with bones. For example, in 1991 Tufts University, Boston showed that vitamin D was essential for improving bone density and supplementation was important in the winter months. This work was confirmed in Lyon, France (a thousand miles south of the UK!) in 1992 where a group taking 800 IUs of vitamin D and 1.2 gms of calcium per day had 43 per cent fewer hip fractures and 32 per cent fewer other, non-vertebral fractures. So for osteoporosis think vitamin D and a healthy intake of greens, rather than dairy and HRT supplements! Sunlight on our skin is now thought to be the main source of vitamin D. Night shift workers have lowered blood levels of vitamin D. Heavily tanned, or black people have real problems making vitamin D through the effect of sunlight in their skin. On the other hand, people with Celtic, or Type I skin (ginger hair/ freckles/ burn easily but dont tan), could be said to have skin designed to pick up on any stray bit of UV light in their northerly natural habitat. These days, though, they do tend to avoid the sun, for good reasons, but this can land them with a vitamin D shortage. Whilst a little is found in dairy foods, the major food source is fish liver oils (omega-3 fish oil supplements dont contain much, though). 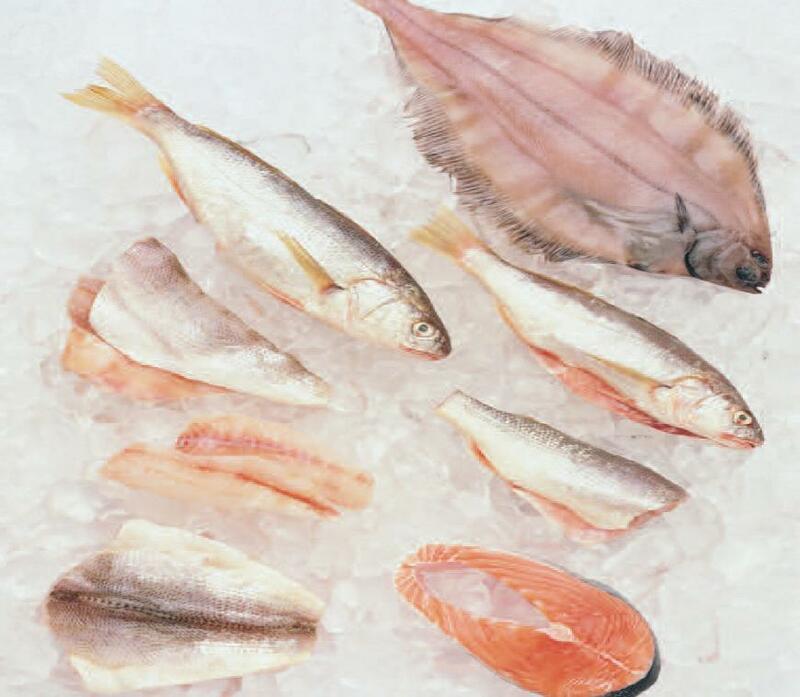 Cod liver oil is unfortunately a poor source of vitamin D compared to halibut liver oil, while most of the top brands actually contain an added D supplement. Unfortunately, in order to get a useful dose of vitamin D from fish liver oil, you would simultaneously be getting an even bigger dose of vitamin A, which then can interfere with the beneficial effect of vitamin D on bone density - catch 22. (Really this is a biological, practical system of checks and balances. But its thrown out of balance by our near-universal vitamin D deficiency). Kidney or liver disease (and alcohol) depress vitamin D levels; indeed anything that interferes with the digestion and absorption of oils and fats will - including any form of diarrhoea, diseases such as coeliac and Crohns, and pale bowel motions for whatever reason. So also do antacids and acid-inhibitors like Zantac, cholesterol-lowering drugs (e.g. statins), mineral oils, anticonvulsants and toxic chemicals in the environment (e.g. smog). Cadmium blocks vitamin D production whilst pantothenic acid helps make it. In Cancer Watch November 2010 we covered research from the National Institute for Health in Finland who linked lower levels of blood vitamin D to dementia and Parkinson’s disease. In icon 2007, issue 2, we reported that researchers in Auckland New Zealand reported that people with higher levels of vitamin D in their blood had lower blood pressure, and vice versa. In icon Issue Winter 2007/8, we reported that researchers at Kings College London reported that people with higher blood levels of vitamin D aged more slowly. We are finding out new, and often amazing, things about vitamin D all the time - not so amazing, though, when you remember that it is actually a hormone; the hormone we all forgot about. benefit fertility problems by helping the fertilised egg to implant in the womb. help the body assimilate vitamin A and have a synergistic effect with both A and E.
be crucial to the growth, maturation and normal functioning of the immune system. be important in both the prevention and the treatment of auto-immune diseases such as rheumatoid arthritis, multiple sclerosis and Type I (insulin-dependent) diabetes. In cases of vitamin D deficiency the body loses its ability to fully produce insulin. strengthen muscles as well as bones, improving athletic performance not only in the elderly but probably even in young athletes. have anti-inflammatory properties useful not only in diseases such as arthritis but probably even in arteriosclerosis and heart disease. help to control obesity by, together with calcium, reducing overeating, and boosting fat metabolism. (Overweight is of course a risk factor for both cancer and heart disease). it is even reported to help to slow down hair loss! As we said above the new excitement is the discovery that cells contain large numbers of receptor sites for vitamin D.
Vitamin D plays multiple roles in the regulation of animals metabolism; Boston University School of Medicine (Rahul Ray) showed that it has a regulatory effect on plasma membranes affecting all sorts of carried hormones and chemicals, and also on gene transcription. They have conducted much work on these vitamin D Nuclear Receptors (VDRs). Vitamin D is bound in plasma and on nuclear sites and is very much part of the endocrine system. Epidemology studies have argued that the levels of sunlight and cancer are inversely proportional. Studzinski and Moore (Cancer Research 1995; 55) talked about a belt through America where there was less sunshine and 2-3 times higher rates of cancer. But where cancer researchers were really turned on was in the finding that vitamin D can regulate cell differentiation and proliferation and even DNA repair mechanisms. For example, laboratory tests have shown that vitamin D inhibits the growth of the new blood vessels (angiogenesis) needed by tumours in order to satisfy their high metabolism (Shokravi et al Inv Cph 1995; 36). Furthermore cancer cells are undifferentiated - they act like foetal cells, being young and dividing rapidly and, as yet, not differentiated into lung cells, or liver cells or breast cells. Vitamin D can switch these undifferentiated cells over to being normal. And right now drugs companies are trying to patent drugs to do this! Why not just give people vitamin D supplements?! Black people, who cannot photosynthesise vitamin D under their pigmented skins, especially in our sunless European cities in winter, are known to develop more prostate cancers than caucasians and Gross (J Urol 1998) highlighted the use of vitamin D in the treatment of recurrent prostate cancer. Vitamin D is claimed to greatly enhance radiotherapy effectiveness on breast cancer treatment (Mercola, June 2003) - it is being used by the Royal Marsden for this very reason - and vitamin D is known to inhibit the growth of pre-malignant cells in the lining of the colon and reduces cancer tumours (Somer). In May 2003 at the Howard Hughes Medical School they showed that vitamin D detoxifies a carcinogenic bile acid Lithocholic acid, and confirmed that vitamin D can reduce polyps in the colon which often ultimately turn into cancer tumours. Holick is clear that vitamin D reduces the risk of breast, colon and ovarian cancers, and named 13 others (from bladder to kidney to stomach) that he thought vitamin D could affect. It seems, apart from these 16 cancers, scientists are discovering new health benefits almost daily for vitamin D with such illnesses as heart disease, diabetes, hypertension, auto-immune disease and even some mental illness and so-called SAD syndrome. The Bottom Line - As readers know, we do not believe any one treatment is a cure for cancer - not a single drug, nor a single vitamin. But, from all of the above, it is clear that vitamin D (either through sunshine or supplementation) is an essential part of a Complementary and Integrative Package for any patient with cancer. Ignore it at your peril..
Up to 80% of people in the Western World are probably deficient. Low levels are linked to cancer, and to lower survival. If you cannot get adequate levels of daily sunshine then you should think seriously about Vitamin D3 supplementation as part of your disease-prevention regime anyway - at around 1000 - 2000IUs a day. If you have cancer, daily intake should be a minimum of 5000IUs a day. And if you want to supplement make sure it is the best, naturally-sourced supplement you can find. In this case it is vitamin D3 you are searching for. If you are already thinking of supplementing, why not go to Natural Selection ’Products of Choice’, who usually have done the hard work of searching for you? 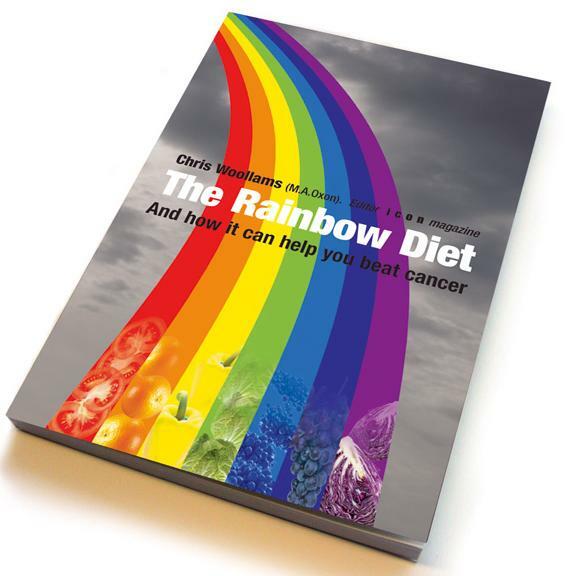 At last, the definitive, research-based book on how to build a diet to help beat cancer. Click here to read about it. President, British Society for Ecological Medicine - http://www.ecomed.org.uk/. Medical Director, Alliance for Natural Health - http://www.anhcampaign.org/. Practises in London as part of the New Medicine Group - http://newmedicinegroup.com/.